Full size brand new Chanel Rouge Coco Hydrating sheer lip-shine. Product Like weight, Expressive than ever in hydrating, a comfortable lipstick with intense color that transform on contact with lip for enhanced high-shine effect. 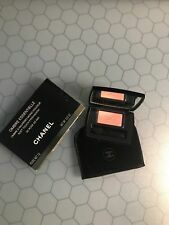 Size: 3g/0.1oz Brand new By Chanel Buy 5 get 1 Extra!